Two people were found dead in their Nampa home Saturday. Two people found dead in a Nampa house over the weekend died in a murder-suicide, investigators say. 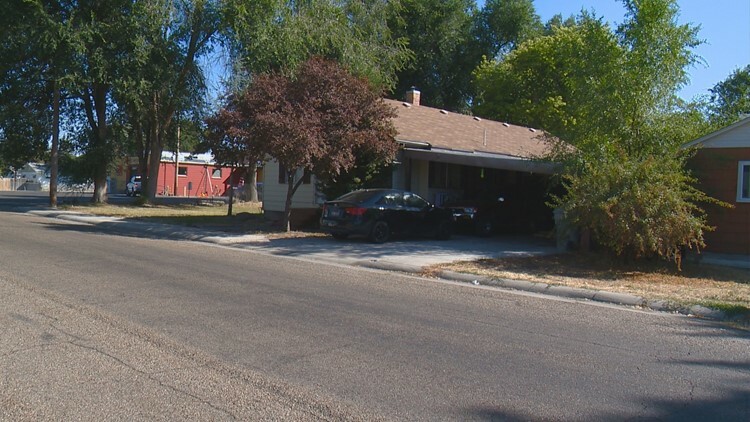 NAMPA -- Two people found dead in a Nampa house over the weekend died in a murder-suicide, investigators say. The victims have been identified as 29-year-old Phillip J. Butler and 27-year-old Kaylynn M. Butler, a married couple who lived in the home. The Butlers' bodies were discovered in the home on Fairview Street near Lone Star Road at 12:49 p.m. Saturday, when a relative who had not heard from the couple in several days went to the house to check on them. When the family member went inside, they discovered the bodies and immediately called police. Both Phillip and Kaylynn Butler died from close-range gunshot wounds, the coroner determined. According to Nampa Police spokesman Sgt. Tim Riha, investigators believe that Phillip Butler shot his wife, then killed himself. Police say the Butlers had last been heard from on Wednesday, but it's not clear what day they died. Riha said the Butlers were the only people in the house at the time, and there is no evidence anyone else was involved. The couple has children, Riha said, but they were not in the home when the murder-suicide happened.